Really nice quilt, I like the fabrics. What a sweet quilt! The quilting pattern really complements the design. This looks very pretty! Quite feminine so some little girl will love it. 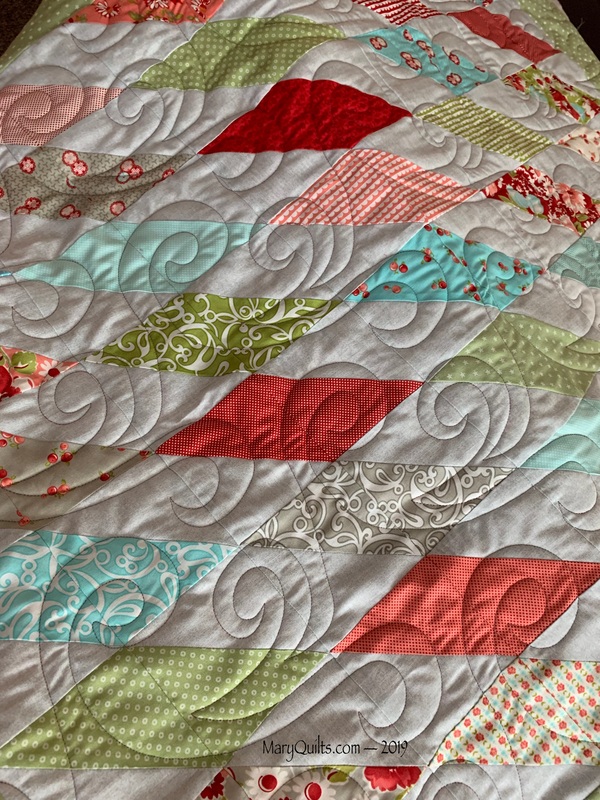 I love diamond quilts. I haven’t made one yet but a larger diamond one is on my list. Pretty fabric too!! Would you mind sharing where you purchased the Waves panto? I have the perfect quilt for it!